The writers here at FitnessVolt.com were asked in a recent round table discussion what the best chest-building and sculpting exercises were. All of us, myself included, failed to mention dips as an essential exercise. That got me thinking after the fact as to the reason for this. 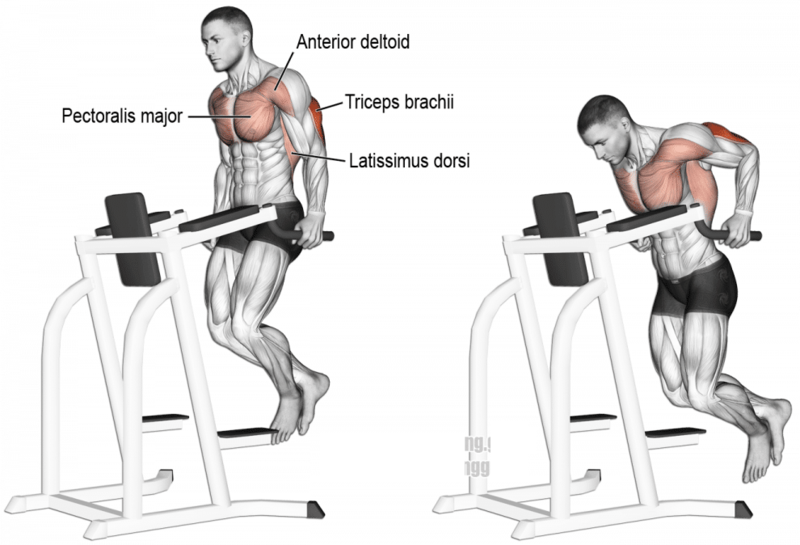 I mean, I know that dips work the chest effectively, but for some reason, I associate this exercise with triceps more so than I do pec development. I started looking into dips as a chest developing movement and this is what I found for this weeks Vs battle: Dips Vs Bench Press: The Best Chest Building Exercise. One or two immediate benefits of dips over bench press is that because dips are a bodyweight exercise they require you to stabilize your entire body as it moves throughout the exercise and also it means it is a much more functional movement. This is in complete contrast to the bench press where your body is stabilized by a bench. Also, the bench press can’t be much more of a non-functional movement. If you can give me a scenario where you are pinned to the ground and need to push a weight off of your chest then by all means do. I guess certain situations involving wrestling or MMA (maybe, but not really) or some sort of sexual incident gone horribly wrong may apply, but I think that’s reaching just a little bit. Here are a few reasons why one could argue that the bench press is not an ideal chest building exercise. Before I go any further I want to point out that the bench press definitely builds some big and strong chest muscles. Of that there is no doubt, but that wouldn’t make for an interesting article if there weren’t some type of controversy so I’ll go back to my bench bashing. 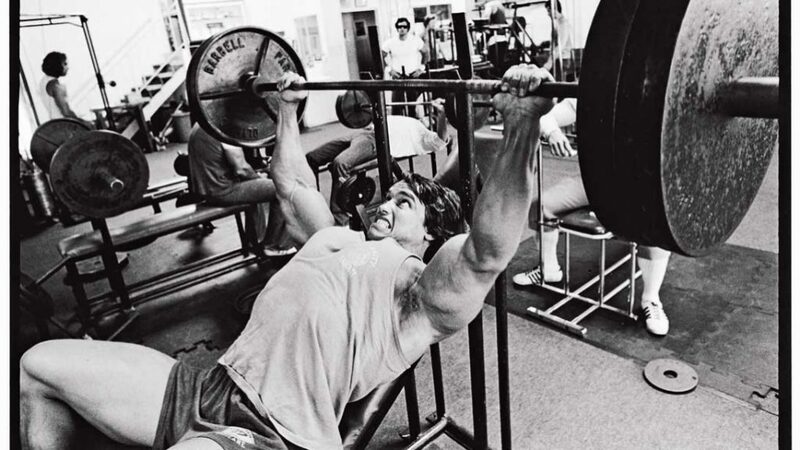 The bench press is the first thing that us guys begin our weight-training odyssey with. It’s the measure of strength by both those who train and those who don’t. It’s the ultimate equalizer. You either bench big and are one of the real men at the gym or you don’t and are a second-class weight lifting citizen. But is it the best movement to build a big chest? The biggest problem with the bench press is that the front deltoids receive the same stimulation as the pectoralis major (1) during the movement. This means that your relatively small front delts will fail long before your much bigger pectoralis major does and this will inhibit your ability to train the pecs to their maximum. What makes dips so great then? Well, they develop the chest faster and better, that’s why. I guess I probably need to back that statement up a little bit. I mentioned above the bench press needs equal amounts of deltoid as it does pectoralis major and this is not the case with dips. Due to the downward movement of the dip the shoulders are not nearly as engaged and the pecs are isolated in a way that no other compound exercise can offer. Decline bench press involves less deltoid engagement than does flat bench (4) and this is magnified when the movement becomes straight up and down like with dips. The dip is in fact a bodyweight version of the decline bench press. Another consideration is that dips will develop both thickness and width where as the bench press will develop only thickness. You’ll need to incorporate fly’s to build the width with your benching routine. With your elbows held against your body during a set of dips, the thickness will be favored and when you flare your elbows out to the sides, the outer chest portion of your pecs will be targeted. This next one is a big one for me, and that is instead of limiting and reducing your shoulder flexibility, dips allow your shoulders to be both strengthened and stretched at the bottom of the movement. Before you get too crazy with this, begin by doing what feels comfortable and over time you will increase your range of motion. I began incorporating dips into my routine a couple of months ago when I began researching for this article and found getting to parallel comfortably was a challenge and only for sets of eight (I have rotator issues). I now can go far below parallel and for set of 15-20. This is just a word of caution as the last thing I want to see is someone attempt to help themselves and end up hurt in the process. Lastly, and I touched on this above, dips build functional strength. 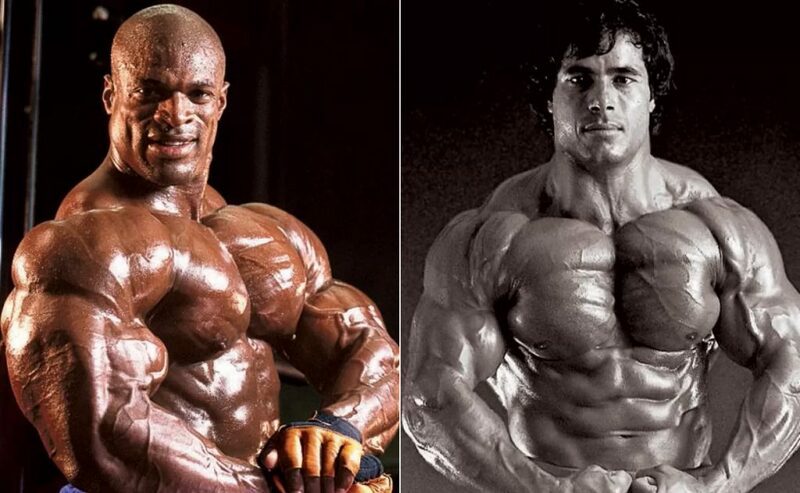 I realize that function and bodybuilding are not two terms that are related at all as ultimately mass is all that matters, but it’s still worthy of consideration if you intend to be lifting a long time. This may not be an issue to the 20-year-old who wants to impress at the beach this summer but for those who have been lifting a number of years and are not willing to sacrifice everything for your future pro card (a very small number of genetically gifted bodybuilders), then building strength that is useful outside of the gym is, well, useful. This makes you a better athlete, it will help you bench more and possibly of interest to the 20-year-old looking to impress at the beach, it will make you a more dangerous fighter. I don’t know this for a fact but I highly doubt the bench press has much of a training emphasis for an MMA fighter who needs his entire body to be strong. So which is better: Dips or Bench Press? Round 11: Is It Better To Lose Fat Or Build Muscle First?